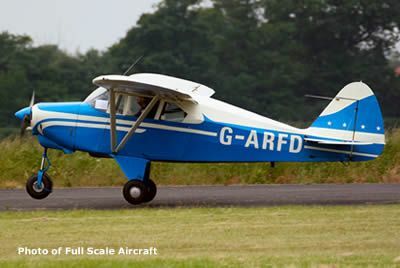 This is an IMMA legal model of Piper's classic airplane. It has a wingspan of 88 1/2" and builds into a nice looking model. You'll be the envy of your modeling friends when you show up at the flying field with this plane. Engine size is .78 to 1.20.